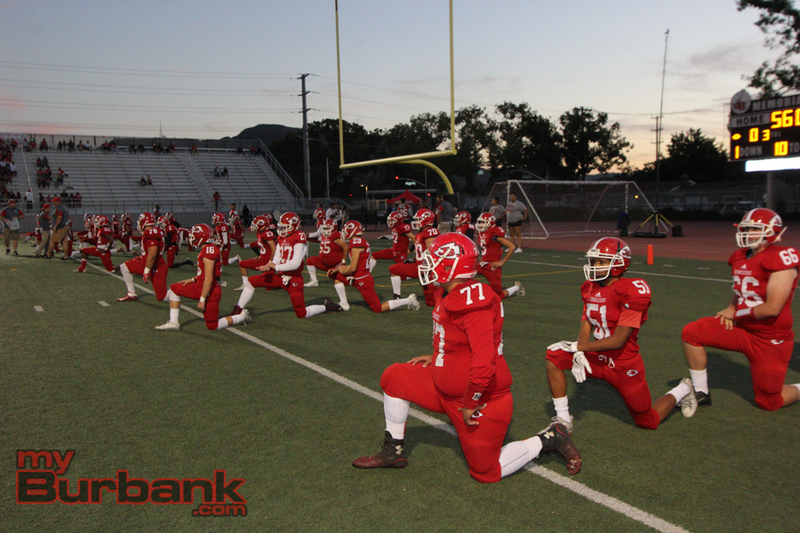 Injuries are part of football and the Burroughs High football team knew it was going play against rival Burbank without a few key players. 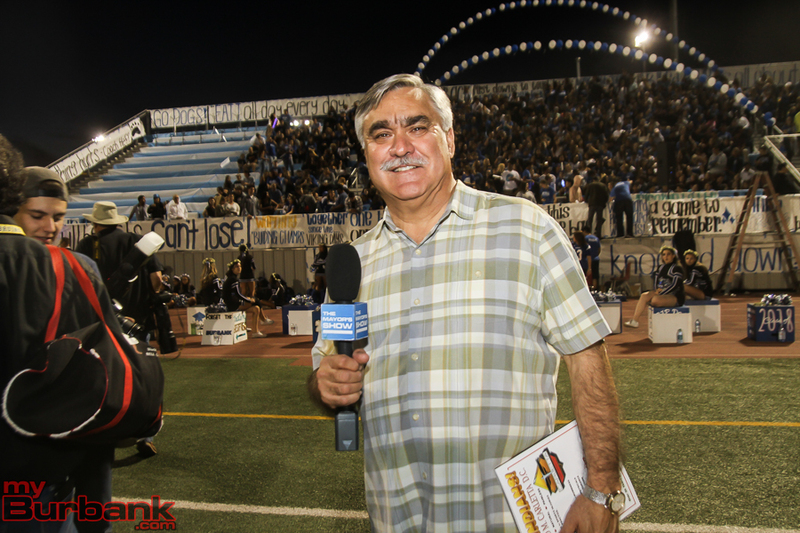 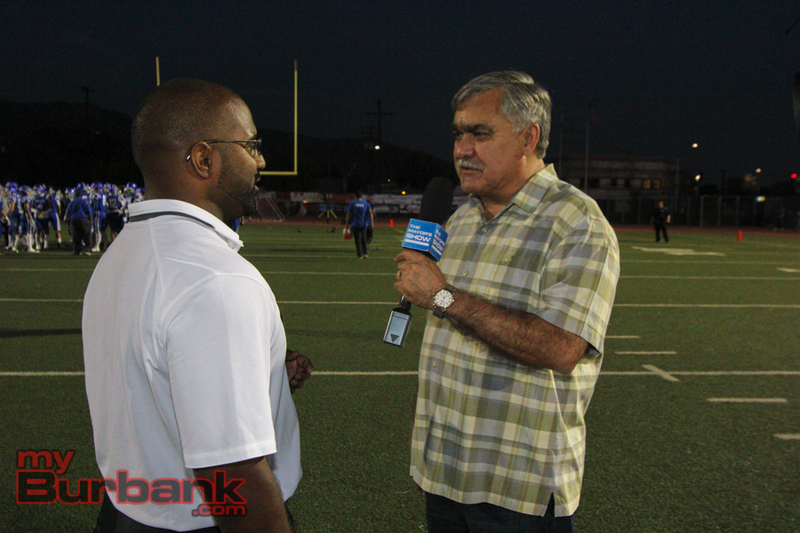 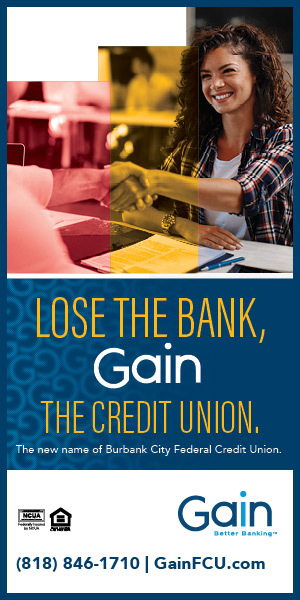 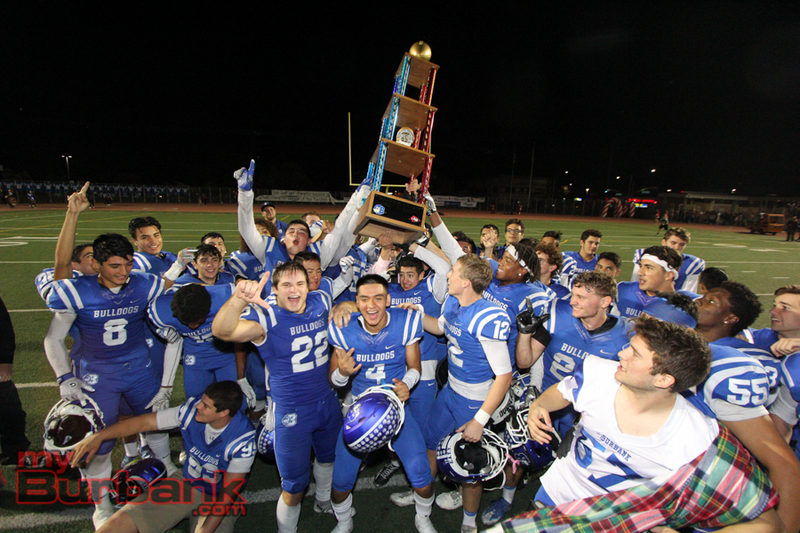 What Burbank didn’t know until just days before the Pacific League clash between the two rivals that it too would face similar circumstances. 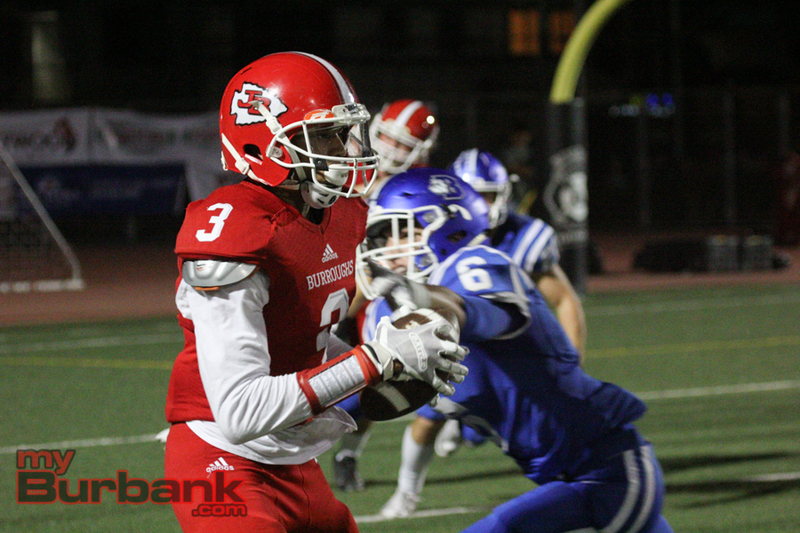 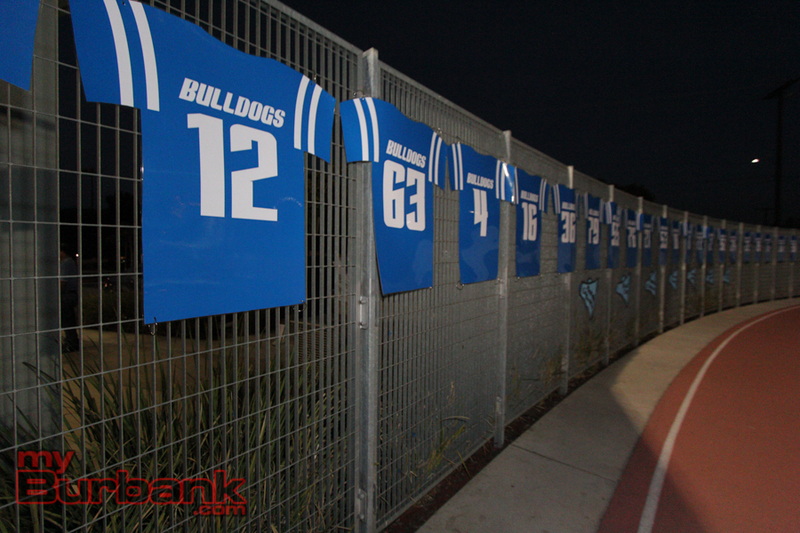 When it was all said and done, Burbank still had too much to offer against Burroughs and the Bulldogs ran away with a 36-7 victory. 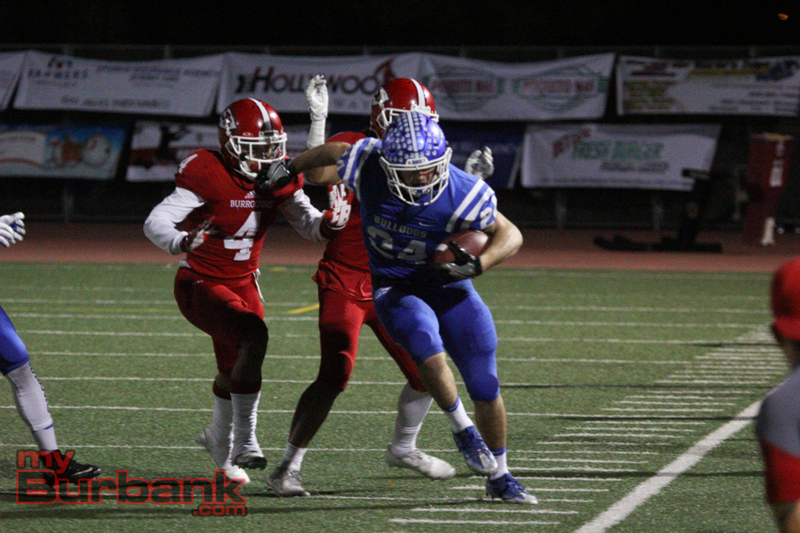 Burbank (7-3, 6-1) once again won with a stellar defensive effort, even though it was missing Forest Fajardo, who was out with a rib injury and defensive lineman/punter Danny Porras, who broke his foot in practice. 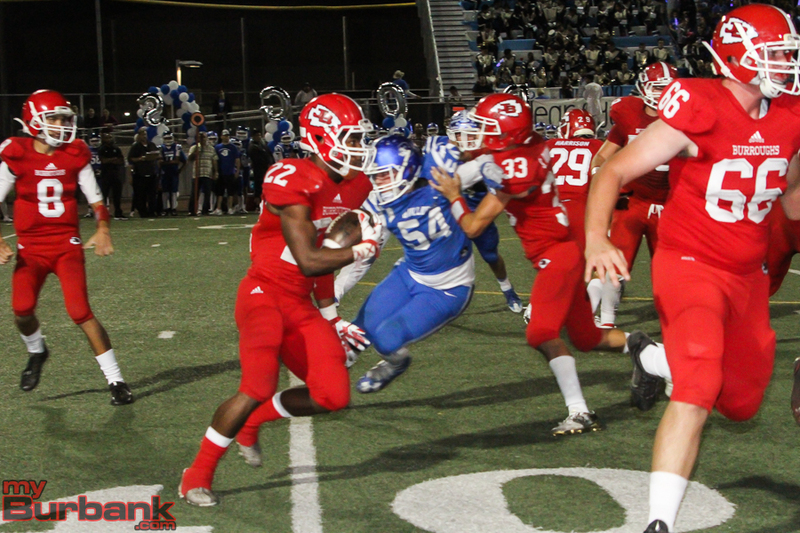 The Bulldogs led Burroughs’ star Chance Bell to 12 yards in 20 carries. 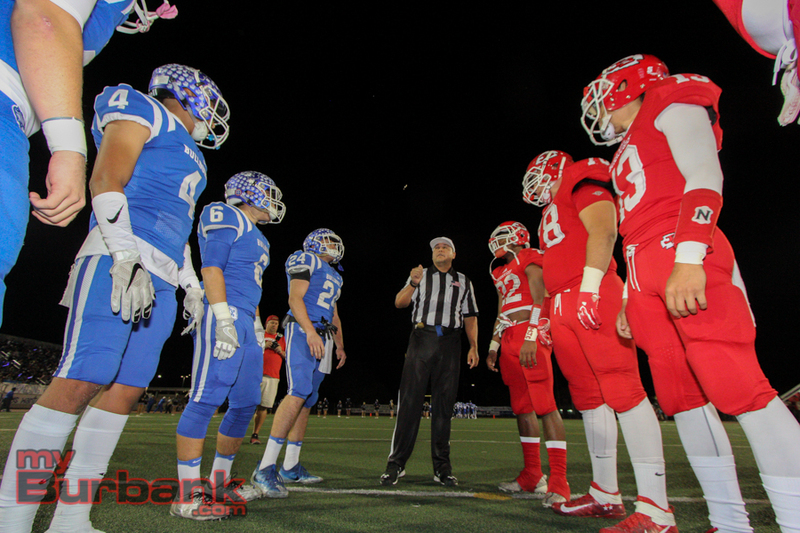 Burroughs coach Mike Reily praised Burbank for the victory, the Bulldogs’ fourth in the last five years. 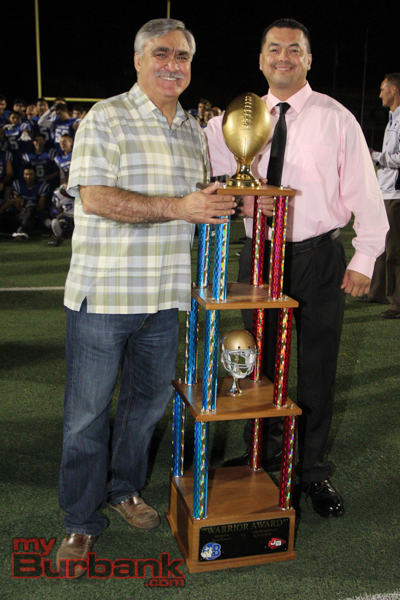 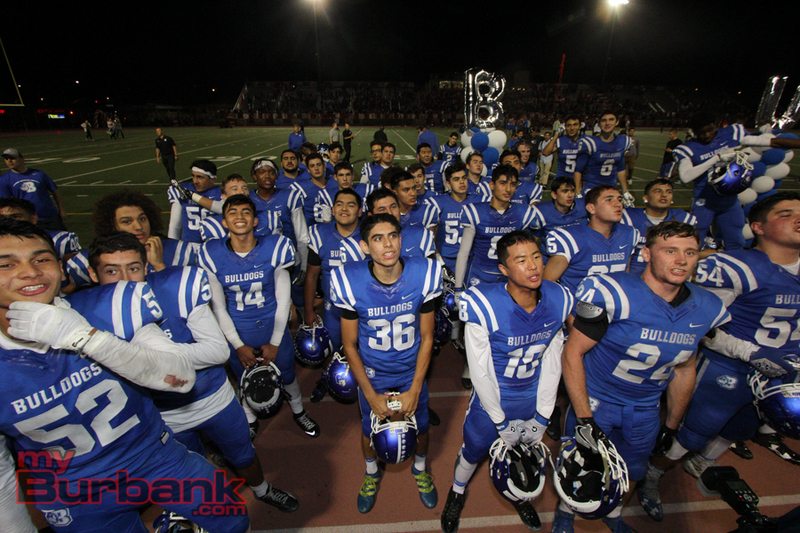 This is the first time in the 68-year history of the series that Burbank has won four times in five years. 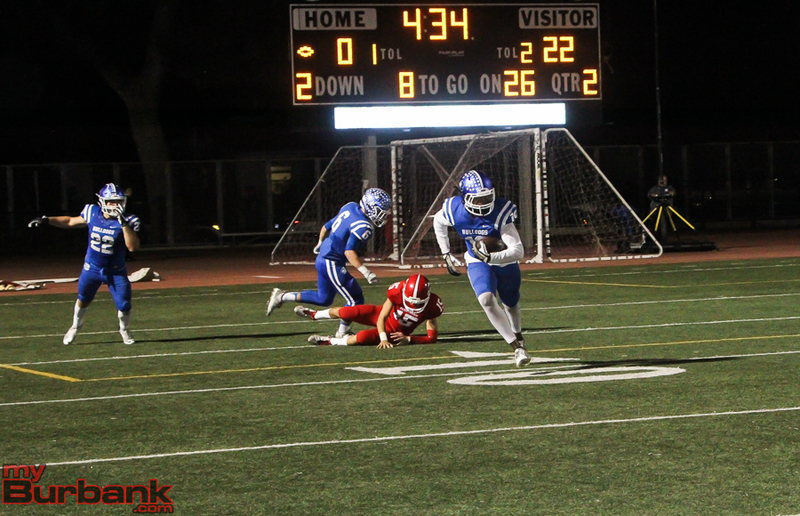 Burbank began the game by engineering a 15-play drive that ended with Darnell Williams scoring on a 9-yard run. 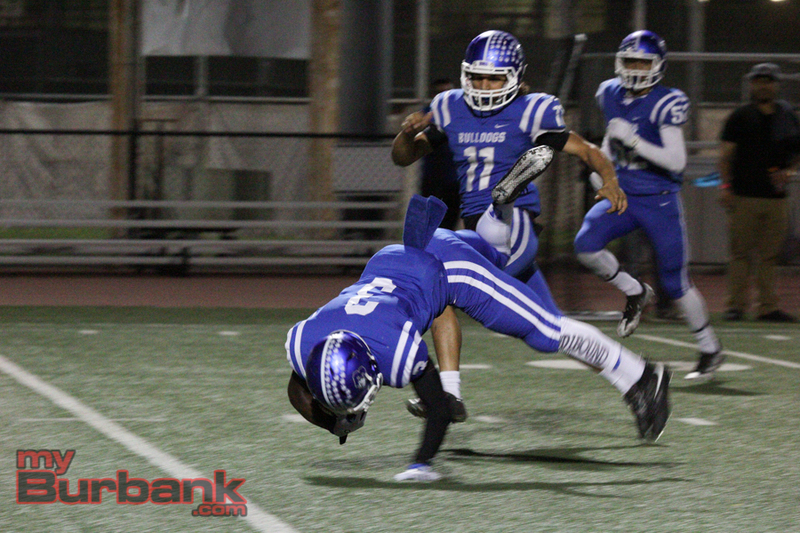 He also scored the subsequent two-point conversion to make it 8-0. 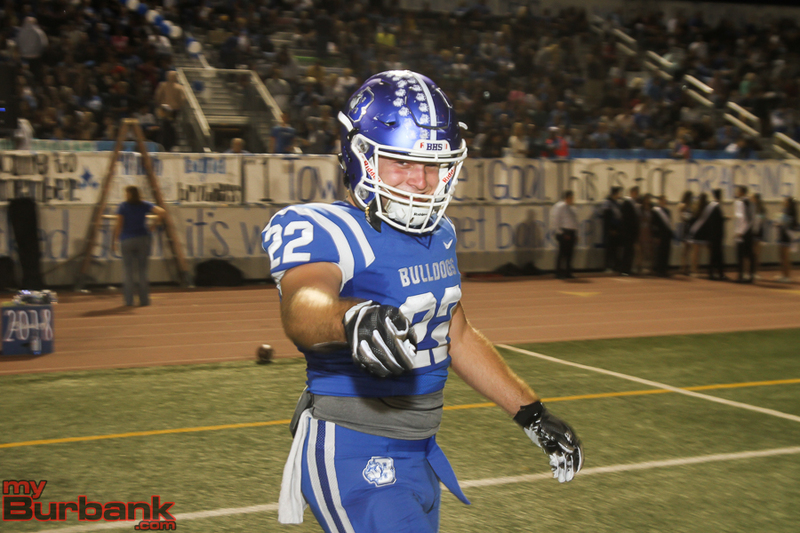 The Bulldogs added to their lead on the first play of the second quarter as Joey Miller went 24 yards for a touchdown on a left sideline sweep. 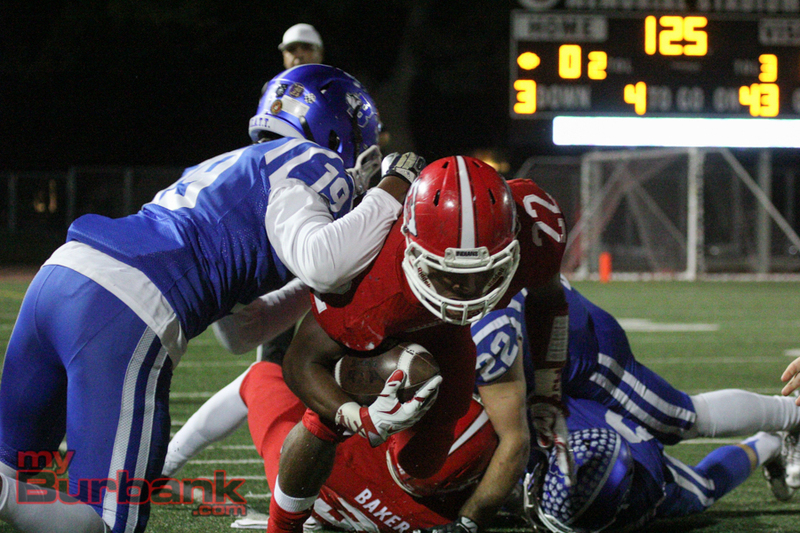 He finished with eight carries for 79 yards. 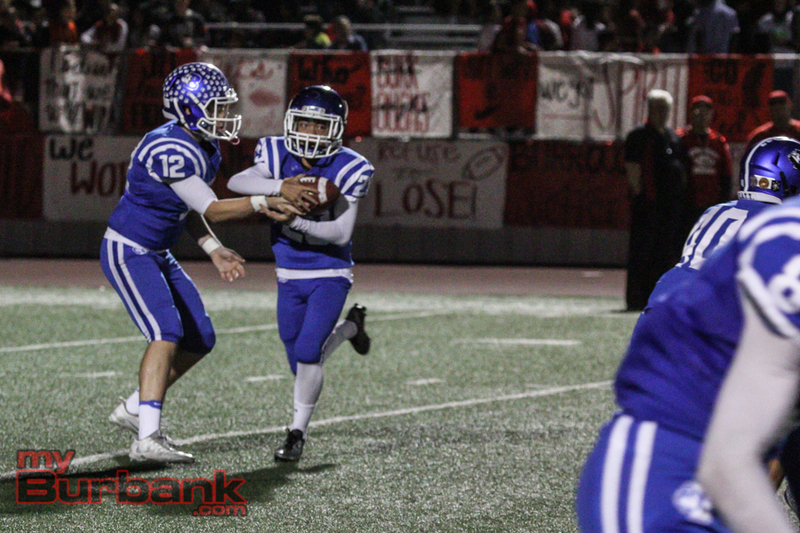 Quarterback Guy Gibbs and Jake Kelley hooked up on a 13-yard touchdown at the 5:33 mark of the second quarter to extend the lead to 22-0. 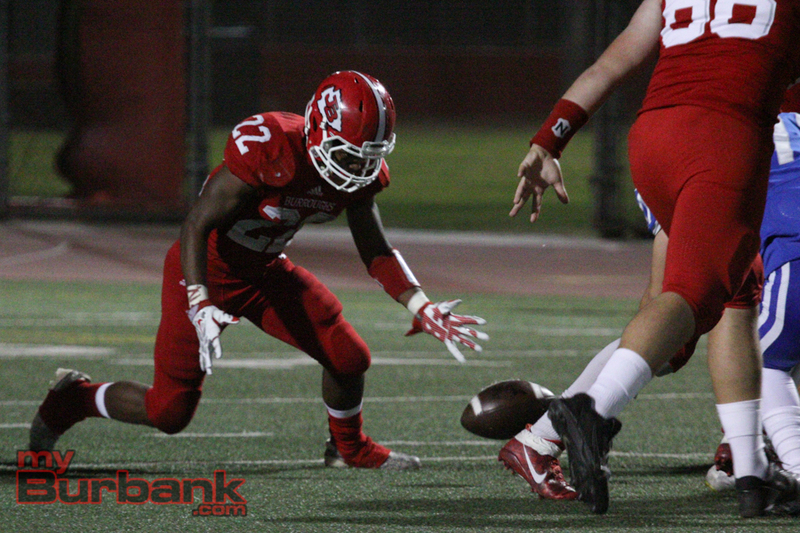 Burroughs (4-6, 3-4) tried to come out with a different look in the second half. 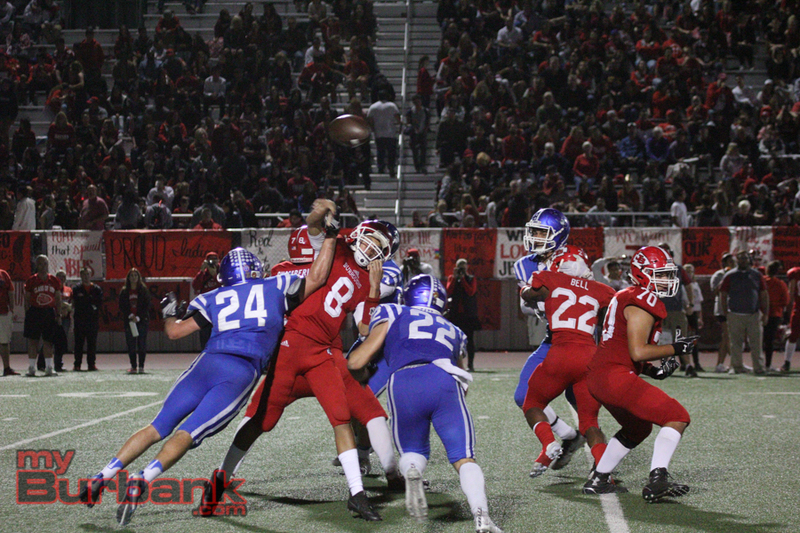 But the Indians fumbled the ball away on their first play from scrimmage. 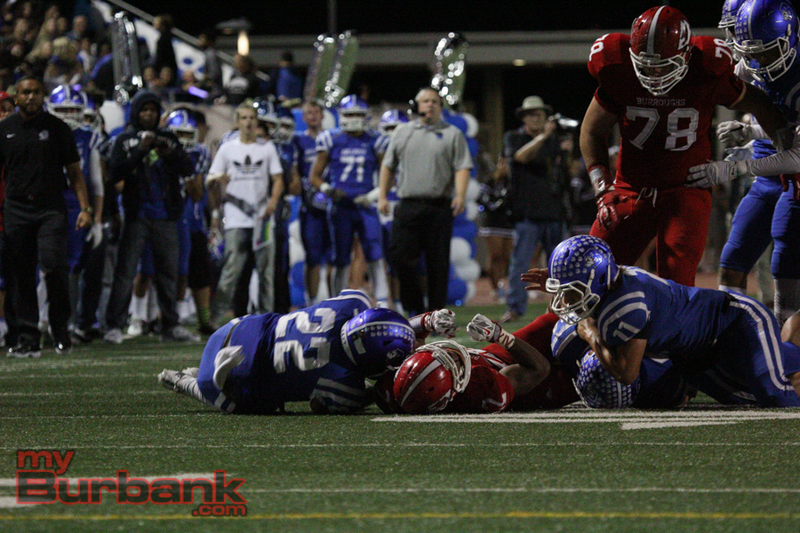 Burbank took advantage and Nick Warren scored on a 1-yard run on the next play. 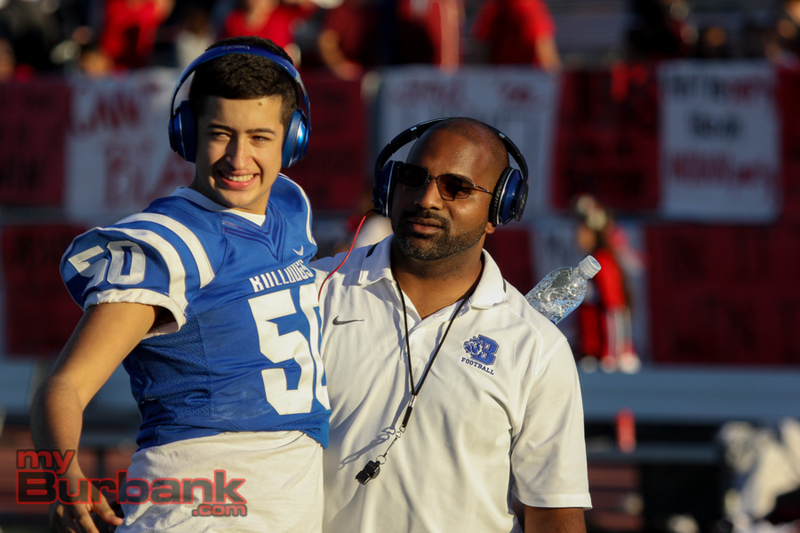 Williams scored on a 1-yard run with 5:14 left in the third quarter to make it 36-0. 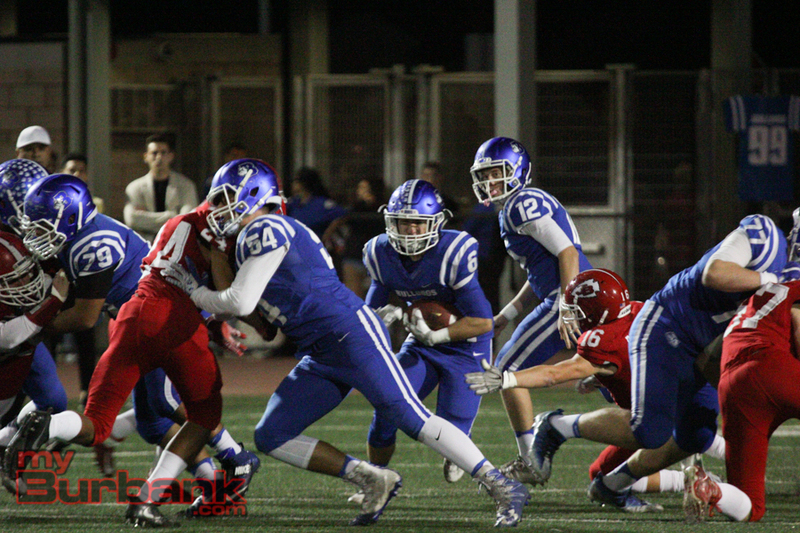 He finished with 66 yards in 10 carries. 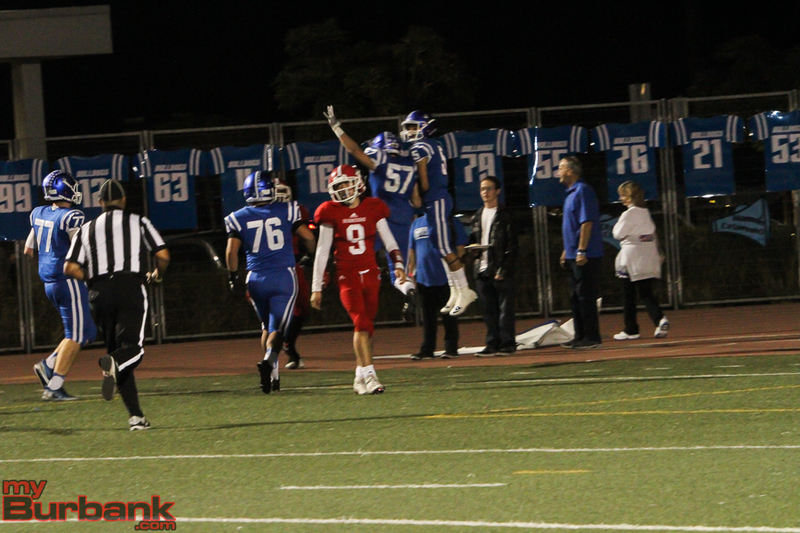 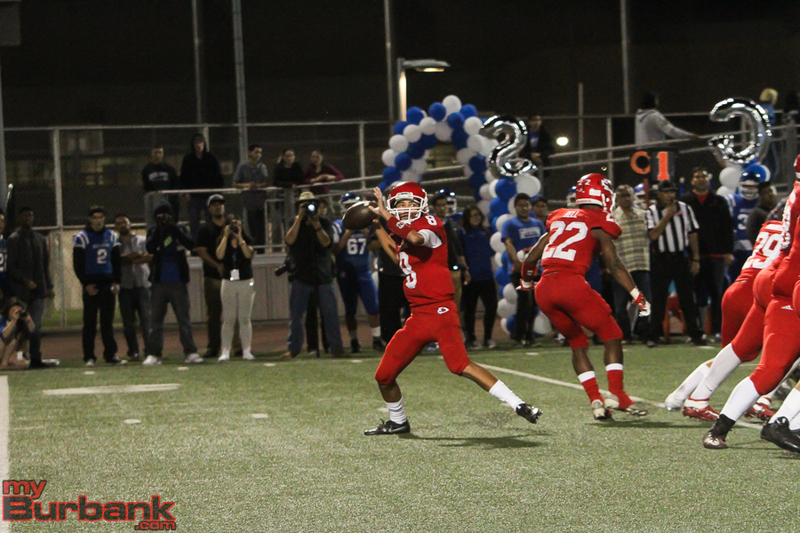 Burroughs got on the board on the final play of the game as quarterback Gabriel Pellot lateralled to Devin Harrison, who threw a 44-yard touchdown pass to Gavin Aguilar. 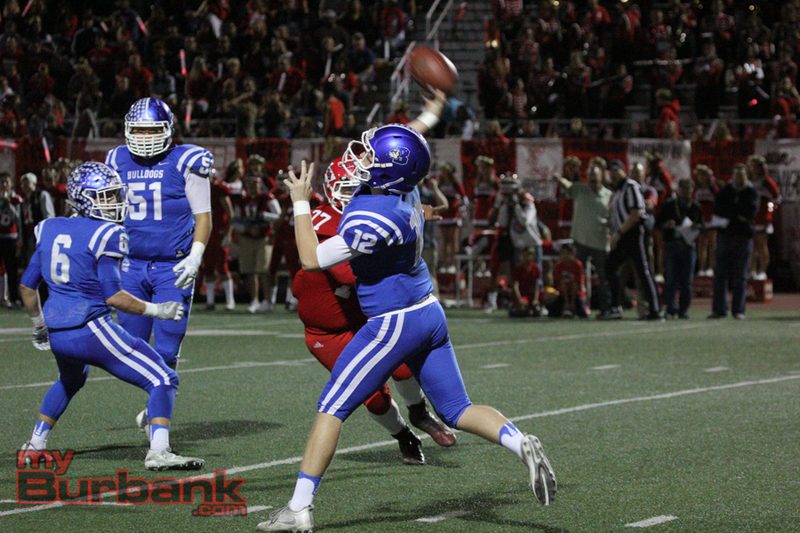 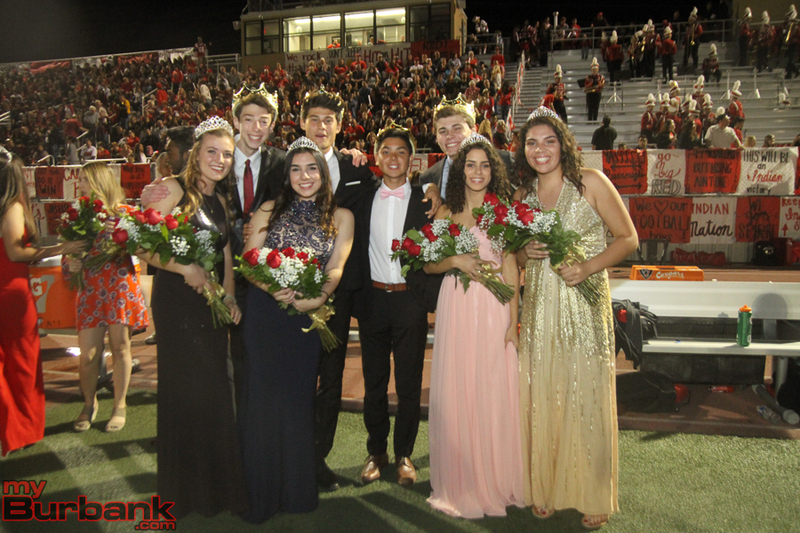 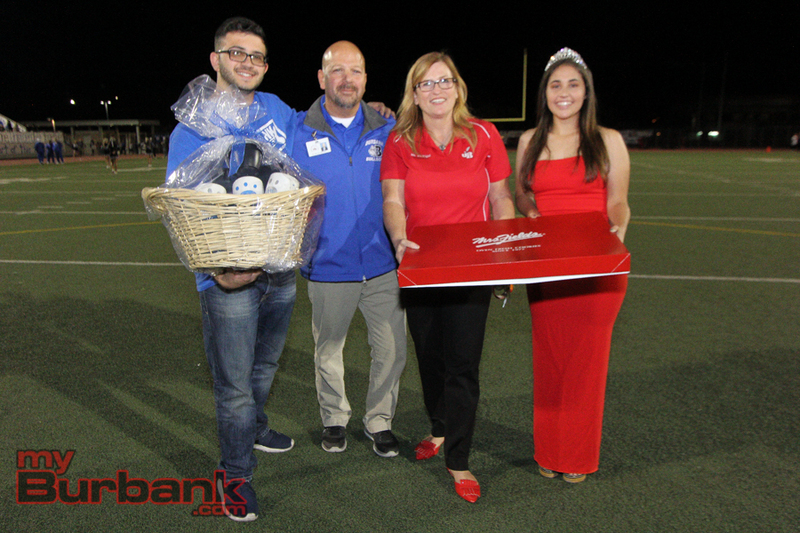 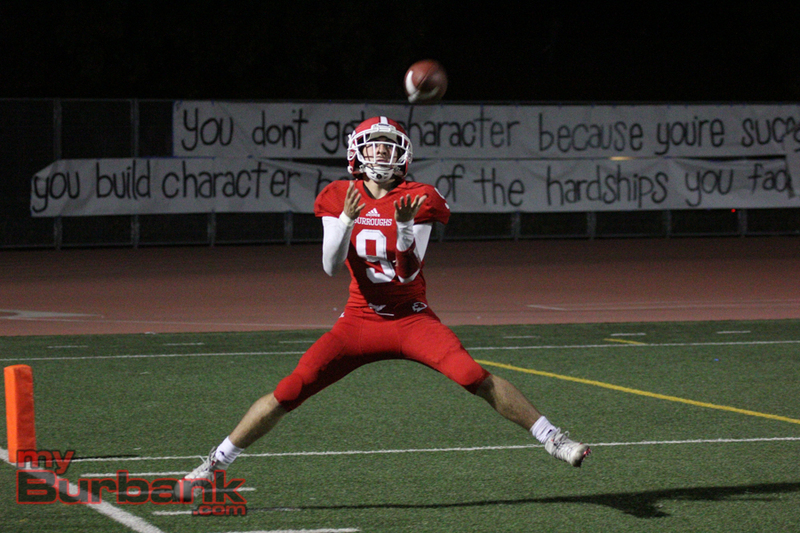 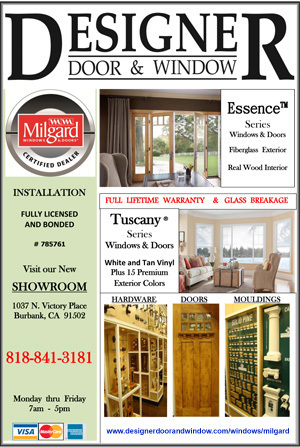 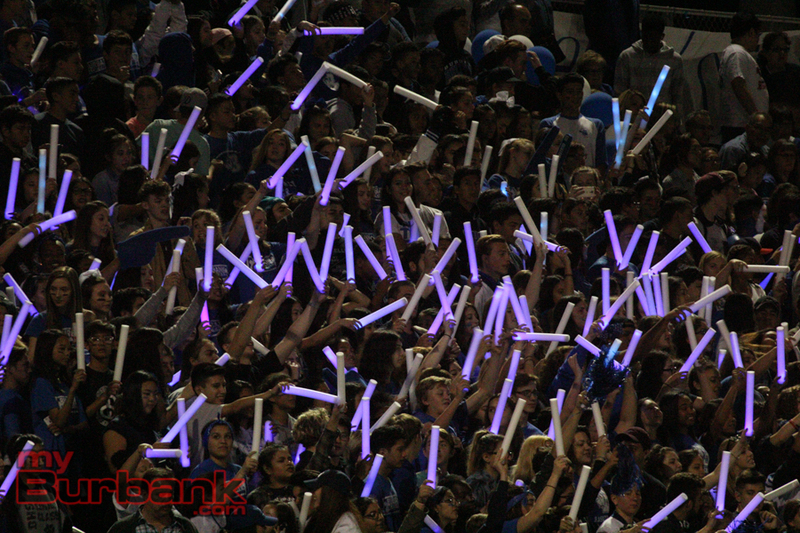 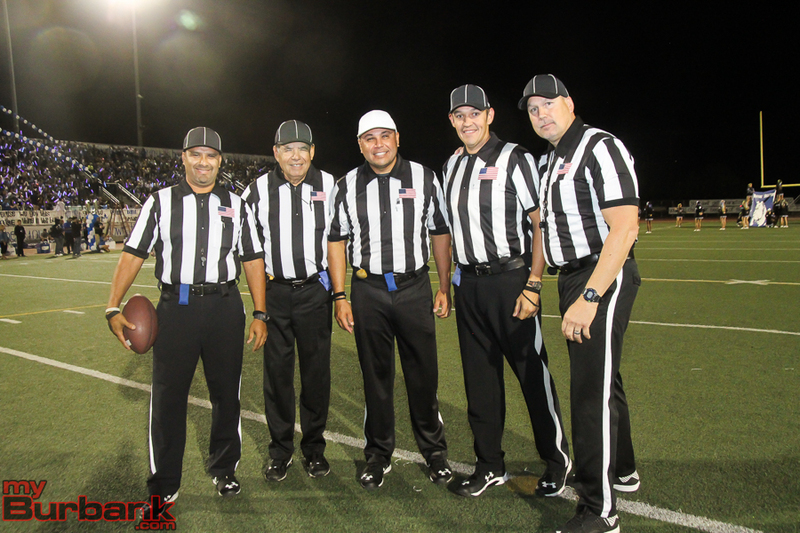 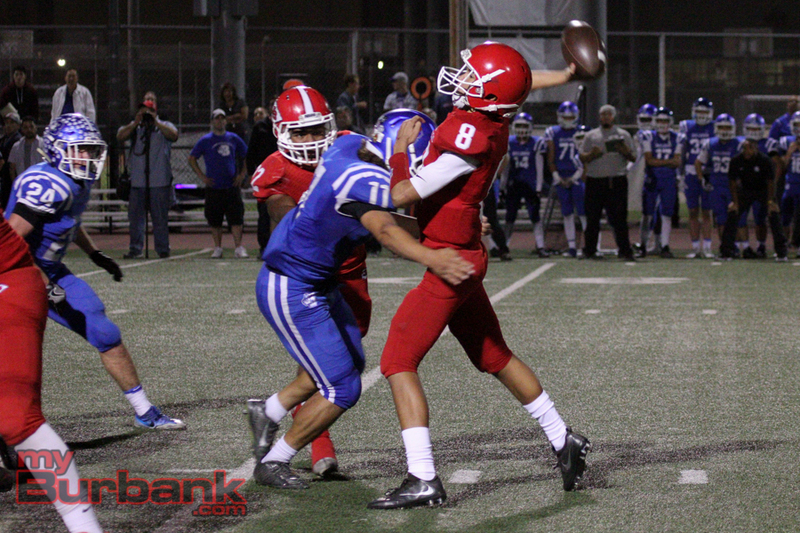 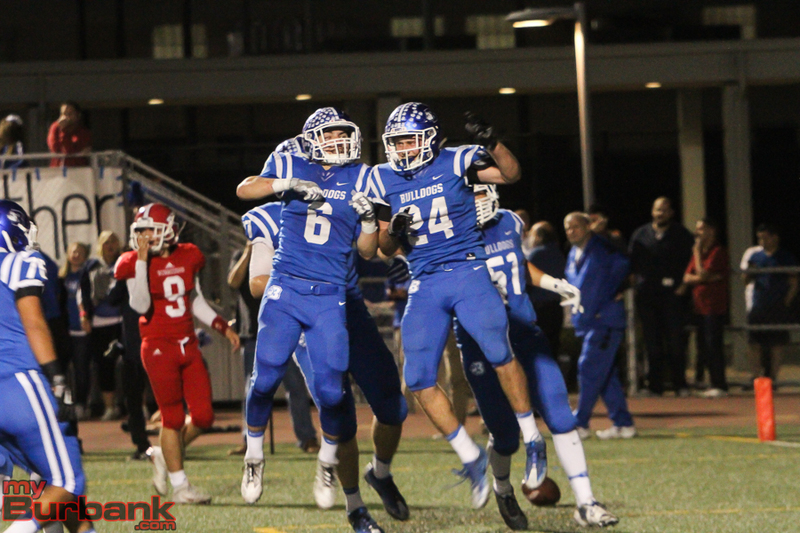 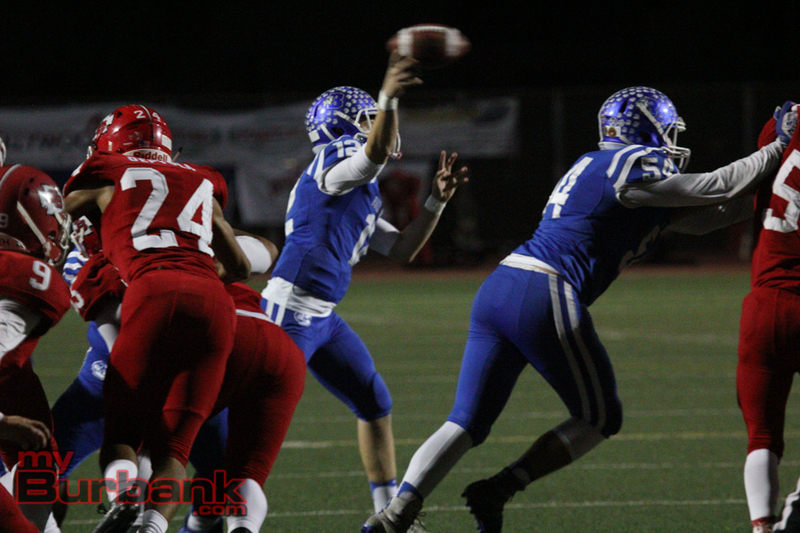 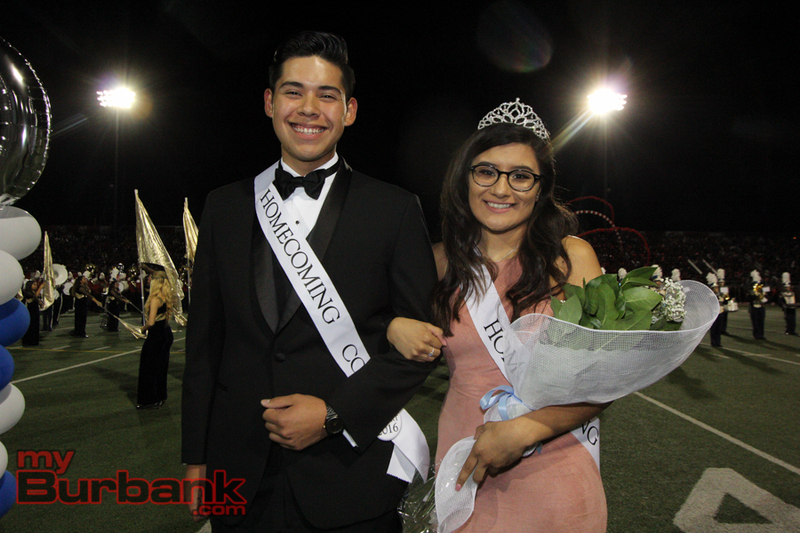 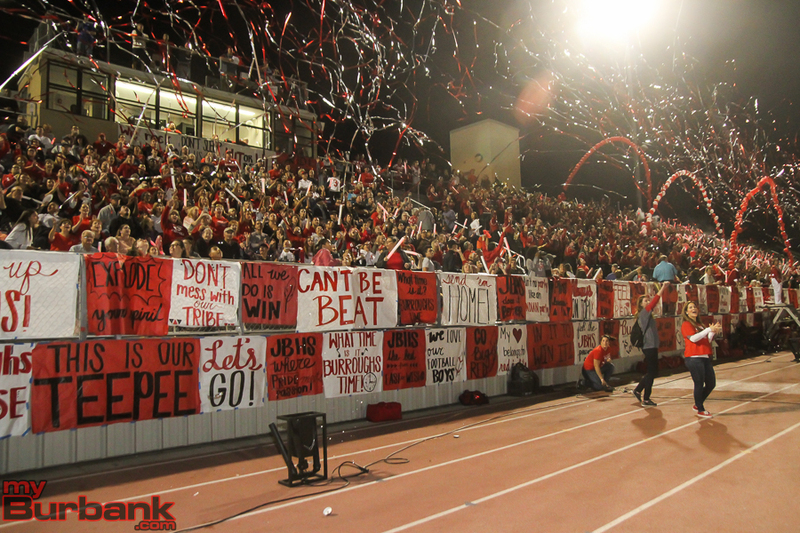 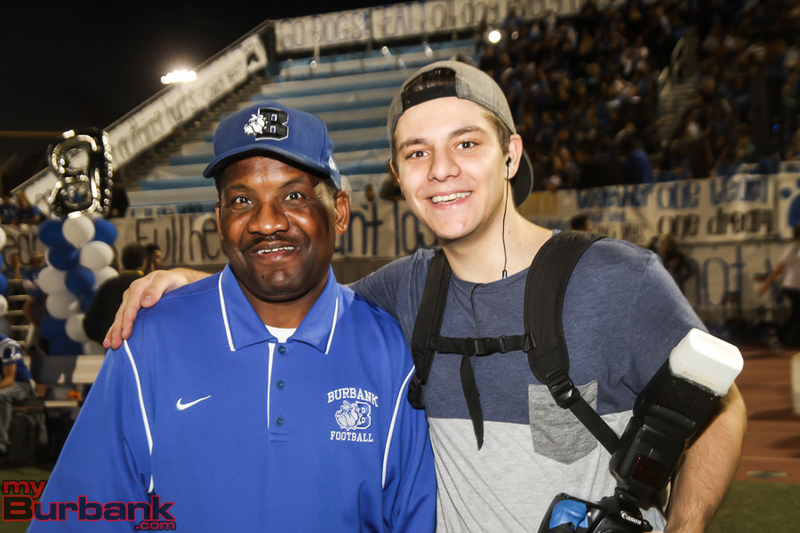 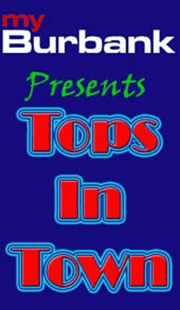 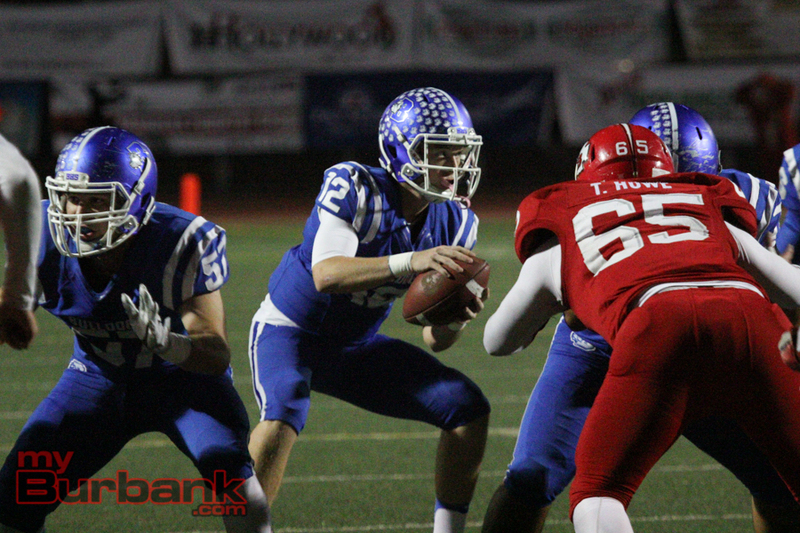 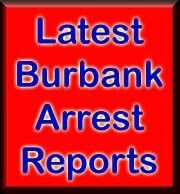 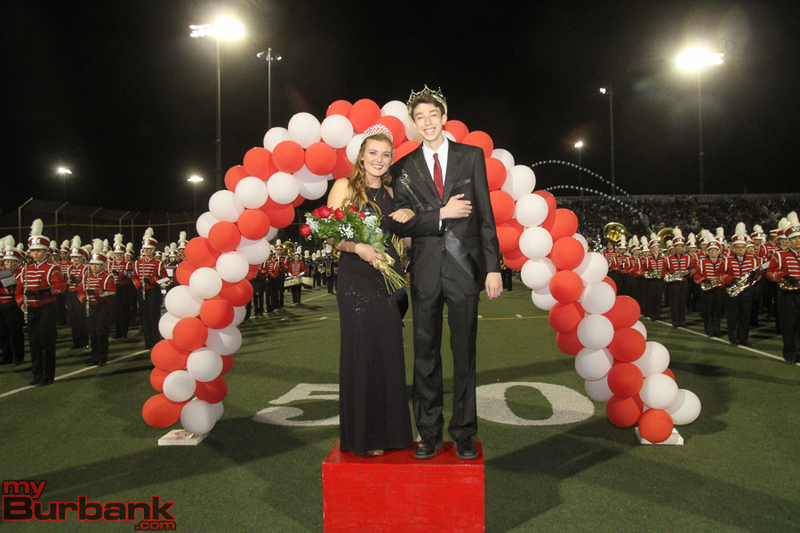 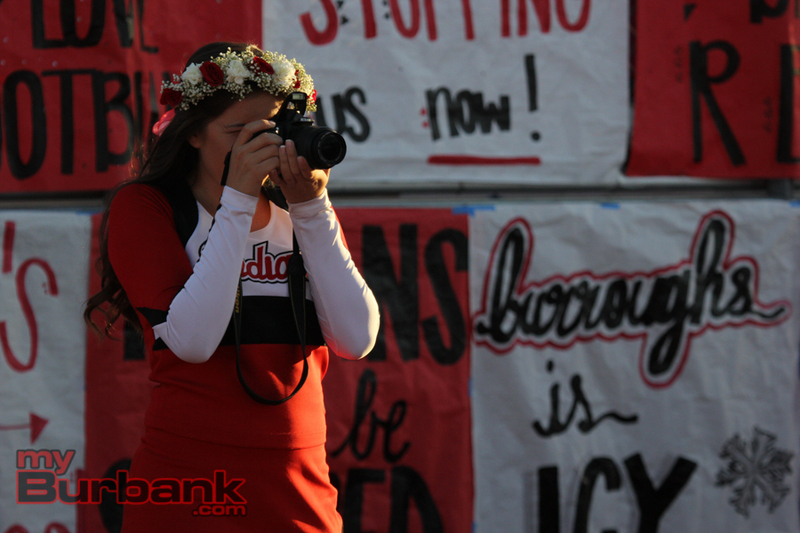 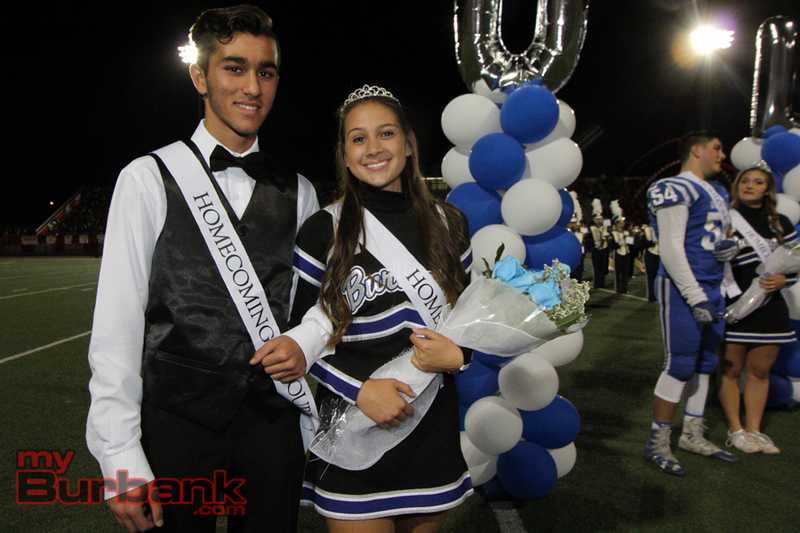 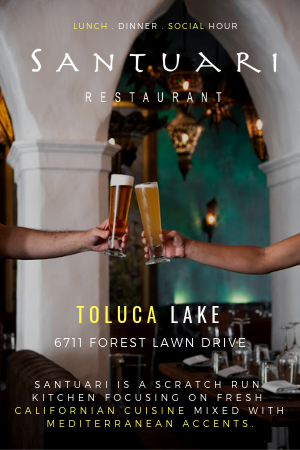 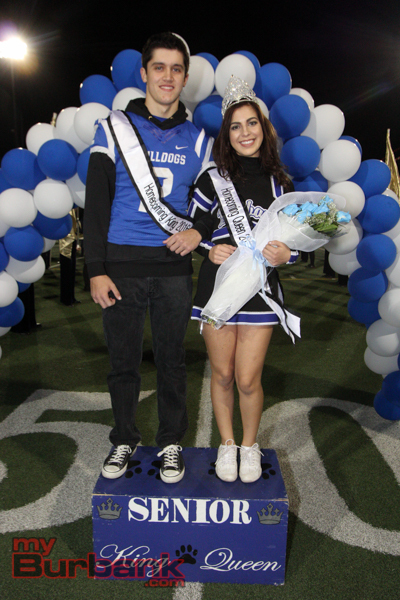 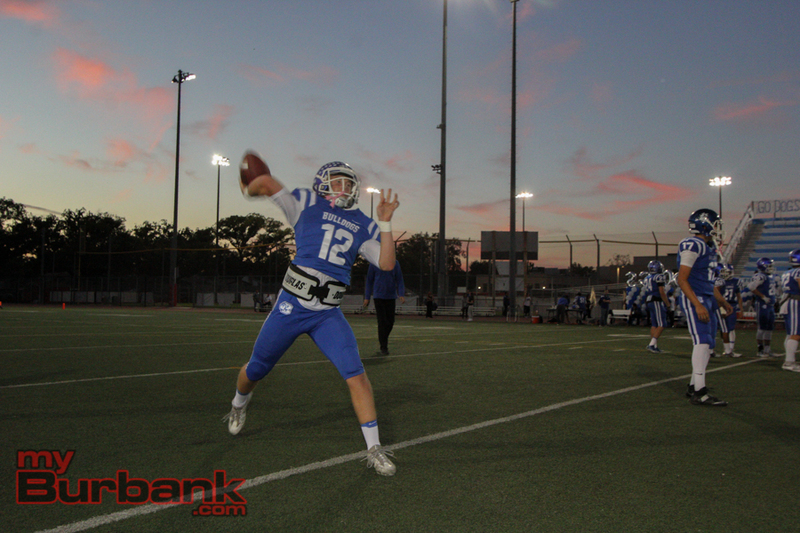 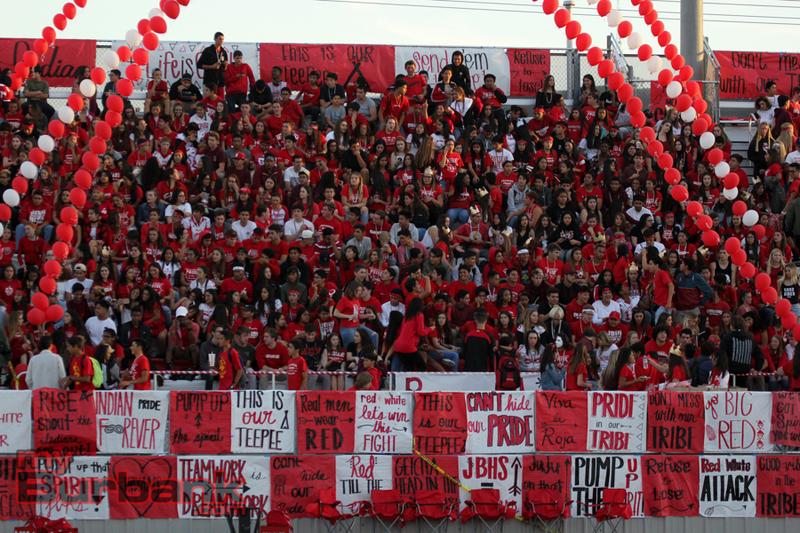 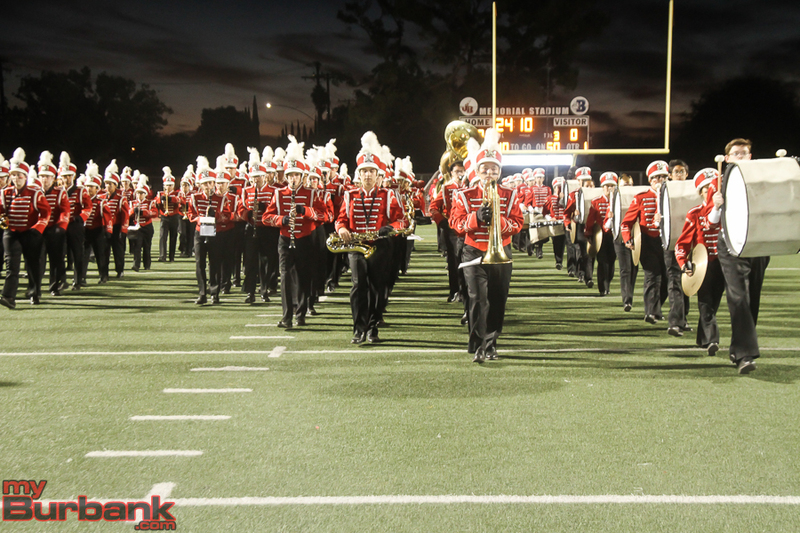 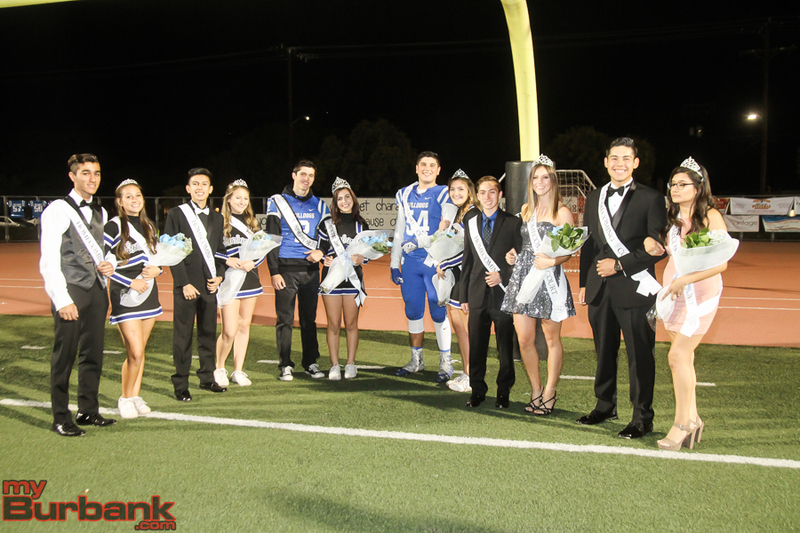 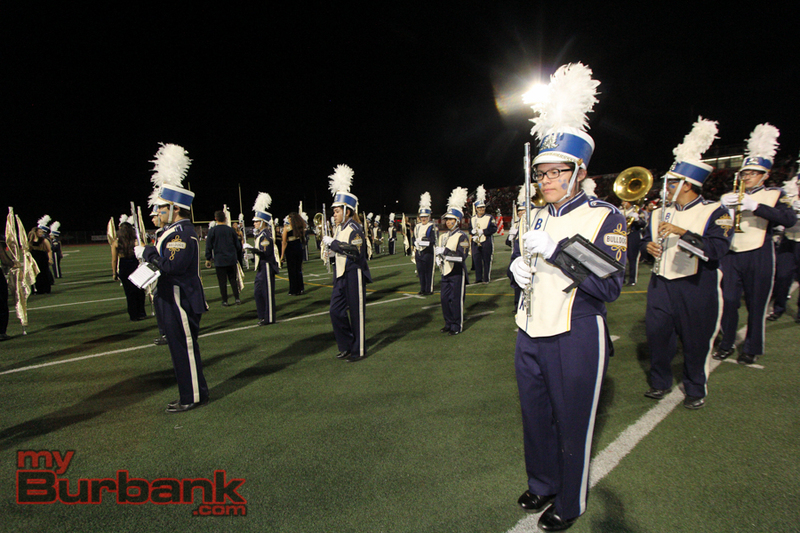 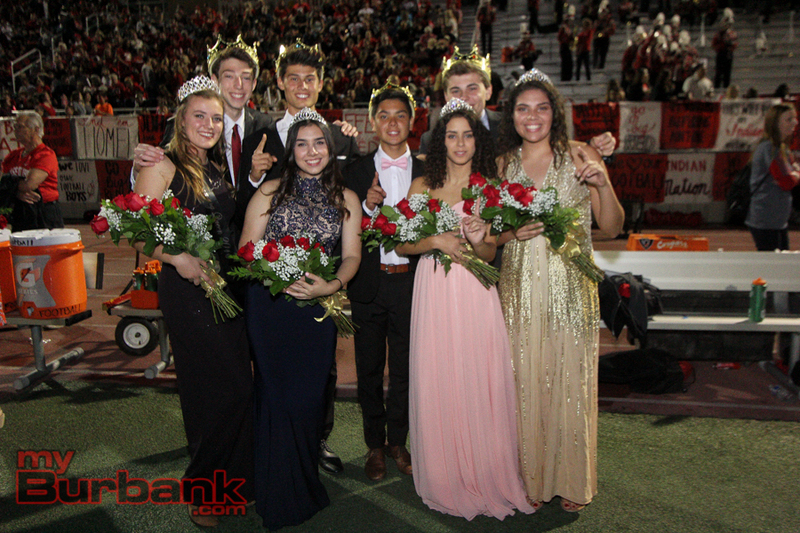 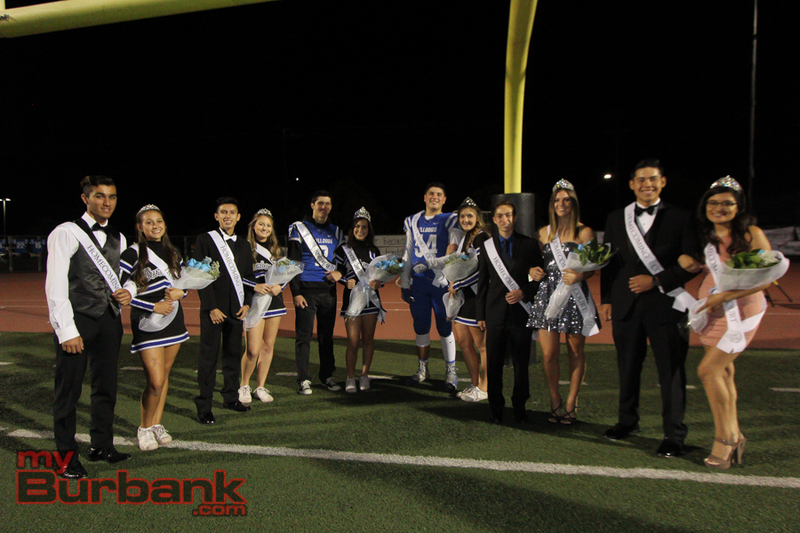 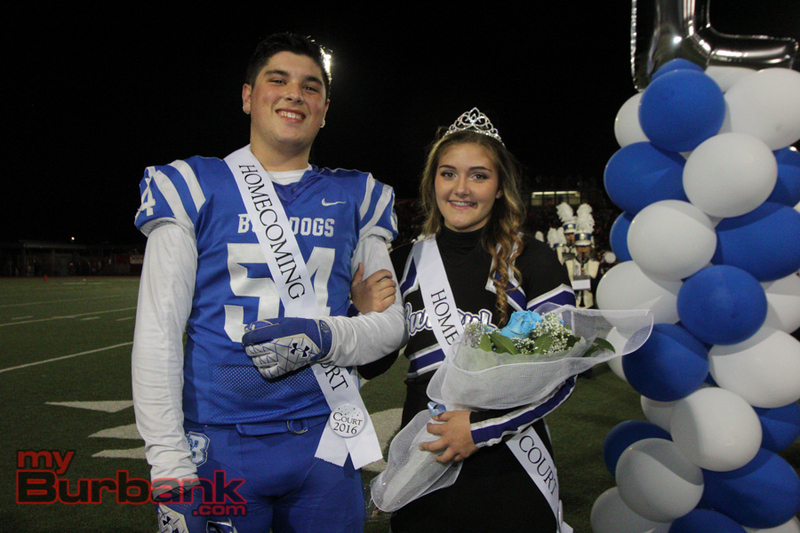 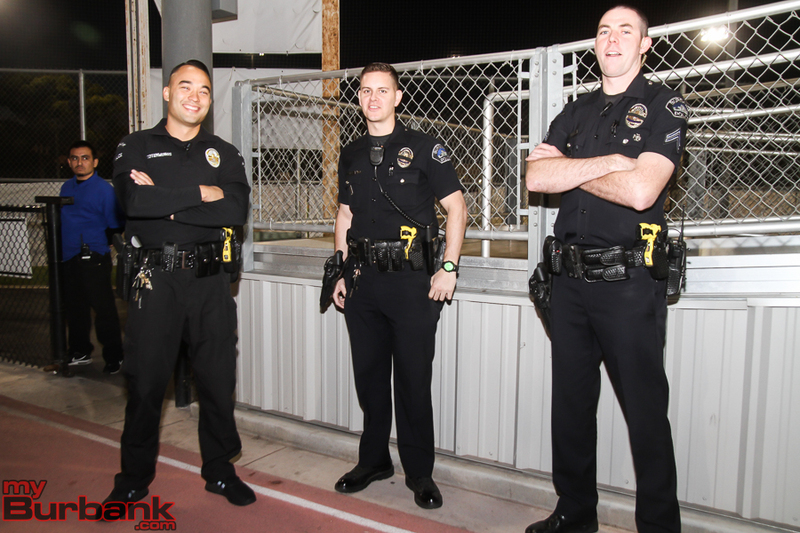 This entry was posted in Big Game, Big Game, Football, News, Schools, Sports and tagged Burbank Football, Burroughs Football, Chance Bell, Darnell Williams, Forest Fajardo, Guy Gibbs, Jake Kelley, Joey Miller on November 5, 2016 by Jim Riggio.